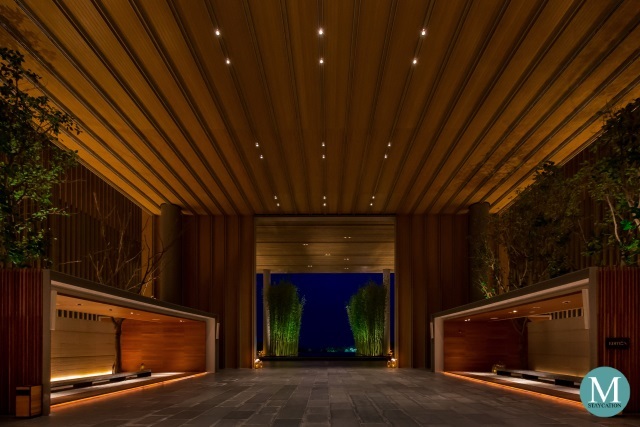 The Sanya EDITION (三亚艾迪逊酒店) is a luxury beachfront resort located in Sanya, a city on the southern tip of Hainan Island. 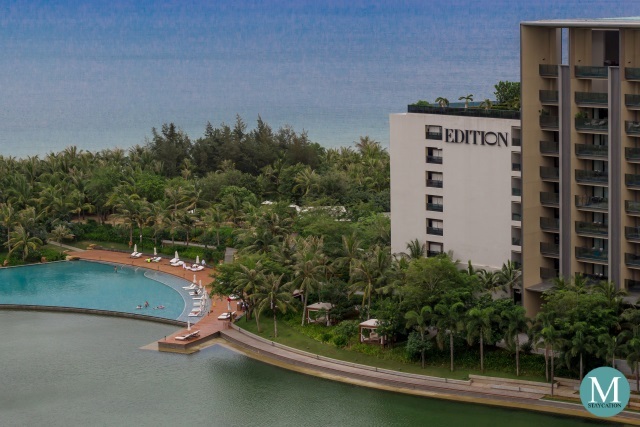 The resort stands along the coast of Haitang Bay facing the South China Sea and enjoys a tropical climate all year round. 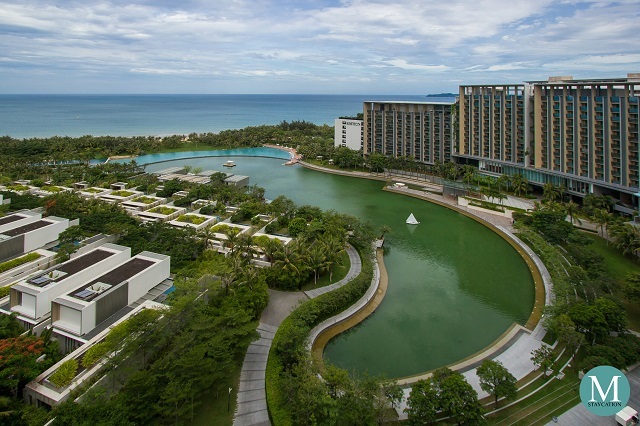 The Sanya EDITION is the first EDITION property to open in Asia-Pacific and is part of the Marriott International group. 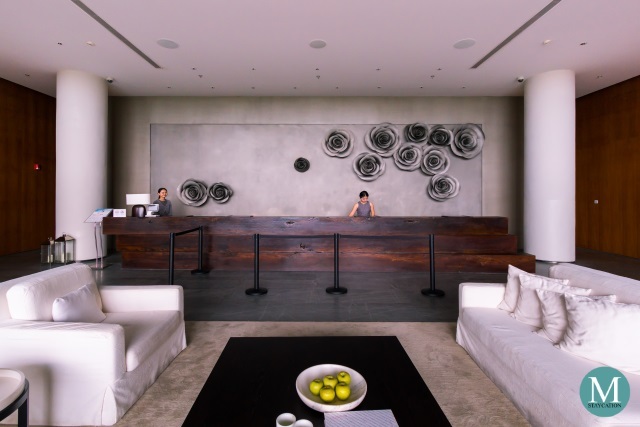 The resort has a clean and minimalist design, with wide open spaces in the public areas. 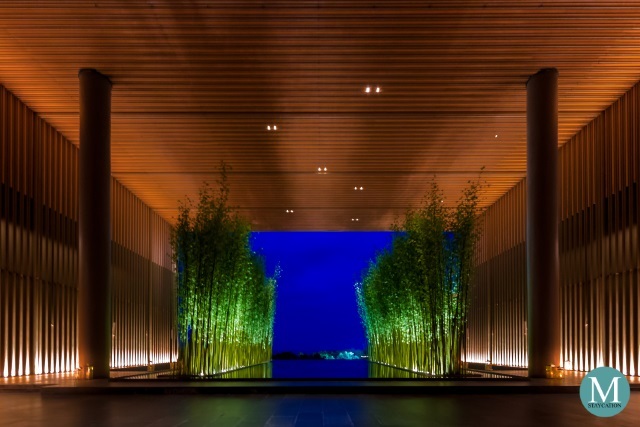 The centerpiece of the lobby is an infinity waterlily pond framed on either side by rows of bamboo trees. 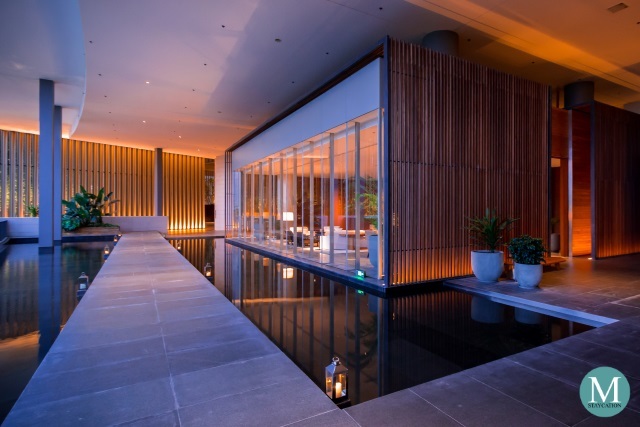 The use of natural materials gives a sense of tranquil luxury to the space. Arriving guests are welcomed by the rich scent of the signature EDITION fragrance characterized by hints of black tea, green tea and tobacco. The reception pavilion houses the front office where guests assisted for their check-in. 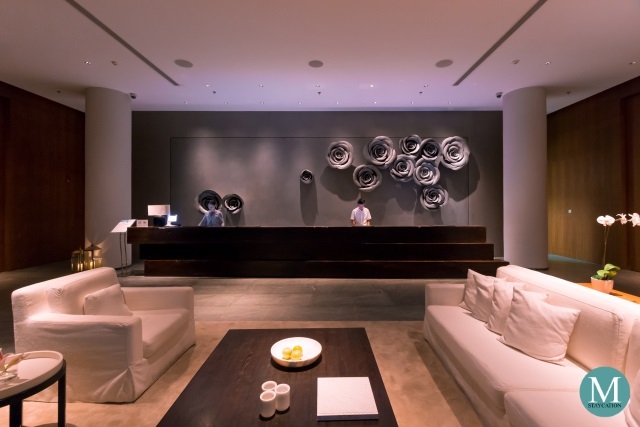 Most notable feature of the reception is the sculptural artwork of roses mounted to the wall. 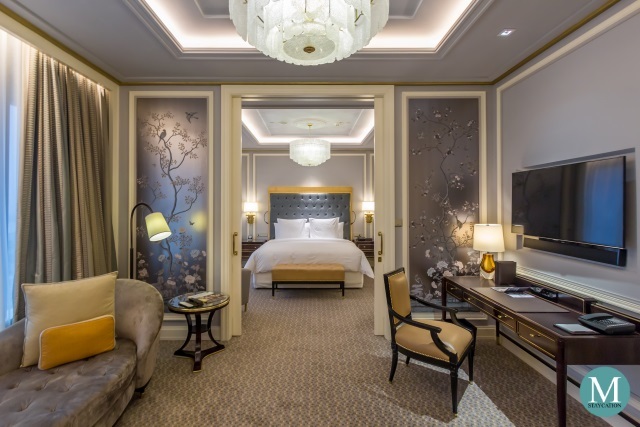 The Sanya EDITION has a total of 512 ultra spacious guestrooms and suites with interiors decorated with light oak finishes. All rooms and suites have private verandas facing the South China Sea. The resort also has 17 villas with ocean views, private pools, and pavilion spaces. The Loft Studio is the highest category among the guestrooms. 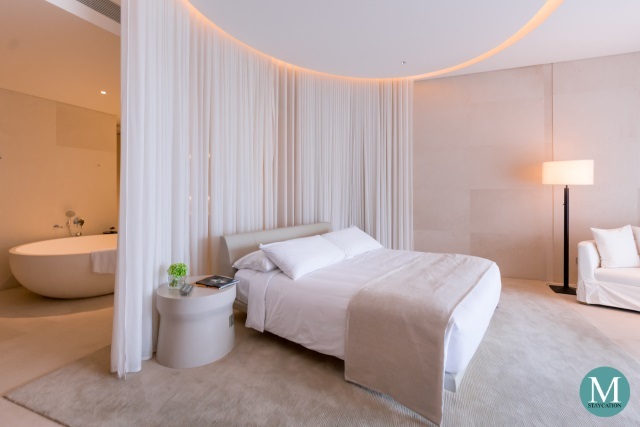 It has an open floor plan featuring a white stone circular bathtub and a circular sheer bed curtain mounted on the ceiling. The Loft Studio has a private veranda with a day bed and a soak-in bath tub. A unique feature of The Sanya EDITION is the expansive private ocean filled filled with sea water which is regularly treated and recycled to maintain its quality. It is a popular venue for water activities such as sail-boating, paddle-boarding, kayaking and water-biking. Surrounding the private ocean are open spaces with local trees and flowering plants. 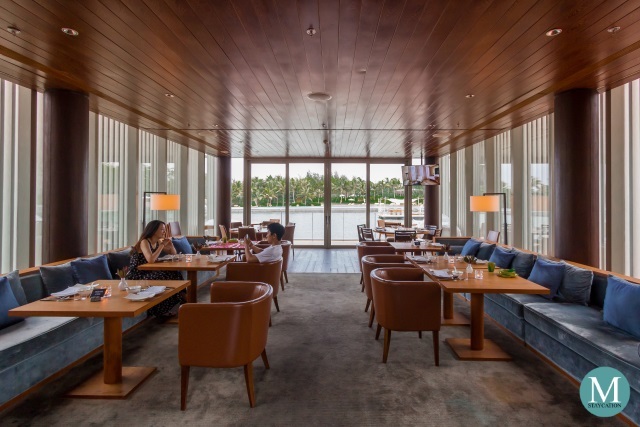 With a total of five dining outlets focusing on specialty cuisines, The Sanya EDITION is a dining destination on its own. 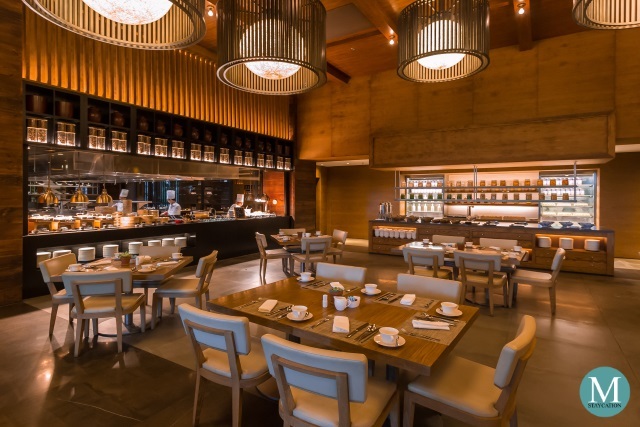 The Sanya EDITION is the only resort in Sanya with all of its dining outlets ranking among the top 10 best restaurants in Sanya according to TripAdvisor. 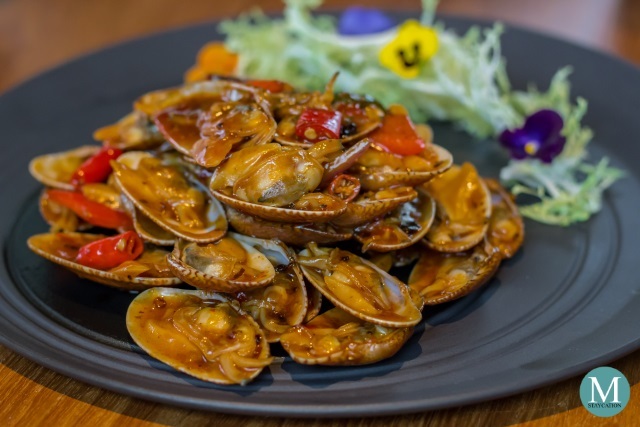 During my stay at The Sanya EDITION, Xian Hai by the Sea ranked as number 1 among all restaurants in Sanya according to TripAdvisor. 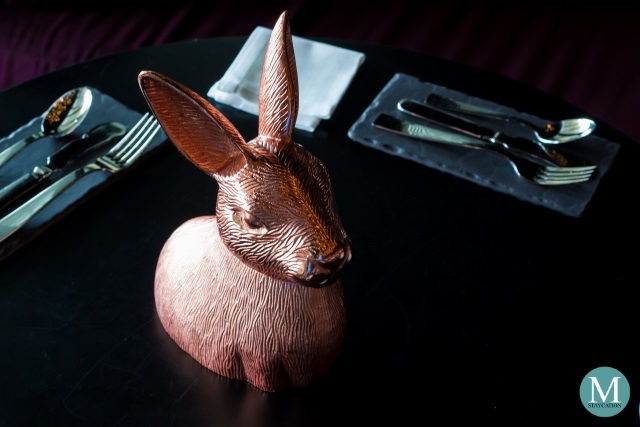 This has made the restaurant extremely popular among tourists. 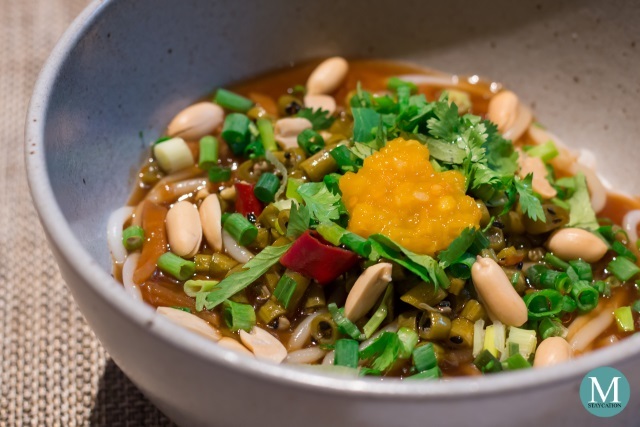 Guests from other resorts even came to The Sanya EDITION just to try out this restaurant. Perched on the highest floor of the resort, Rooftop Bar is one of the best places in the resort to enjoy a panoramic view of the South China Sea. It is popular among guests for afternoon tea or sundowner sessions. 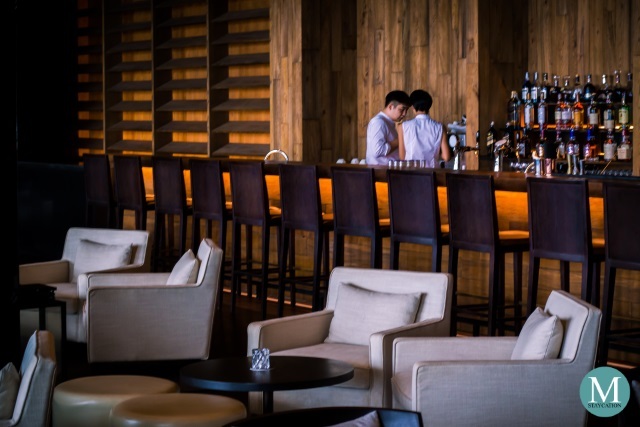 In the evening, guests can loosen up while enjoying innovative cocktails and tapas. 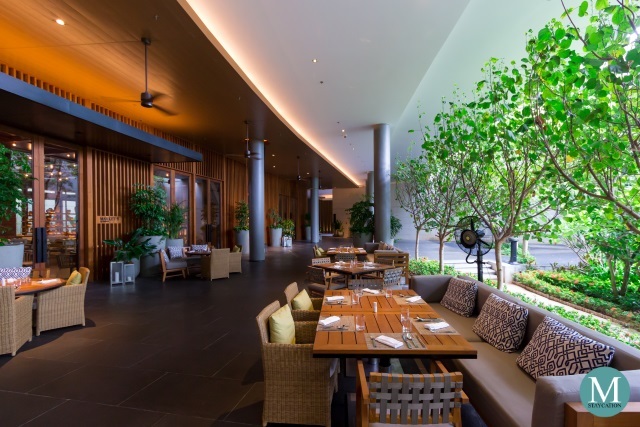 Guests who booked a bed & breakfast room package can enjoy the buffet breakfast at Market at EDITION. 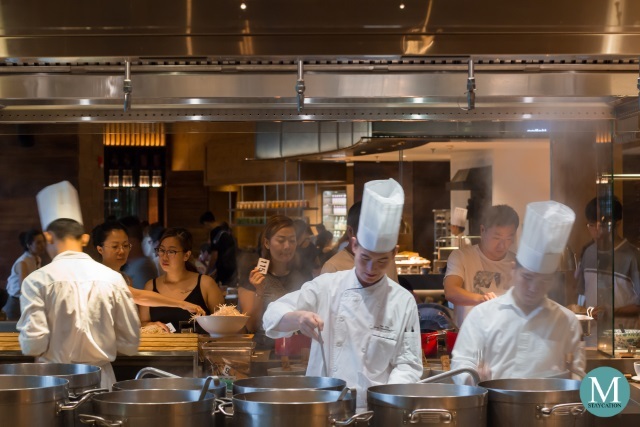 Guests can choose from local and regional Chinese, Asian and Western dishes freshly prepared at the live cooking stations. The restaurant's attentive staff are always ready to assist you with your needs. 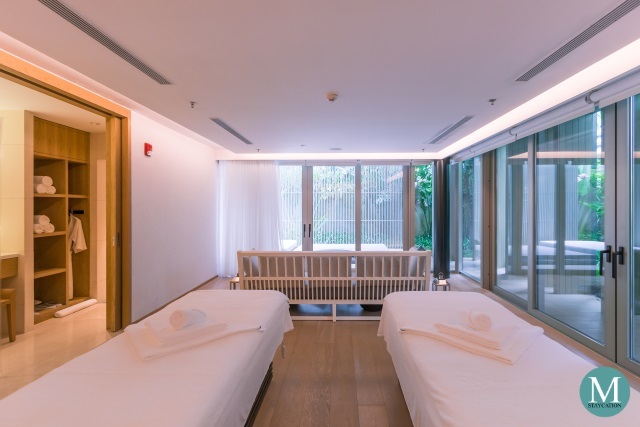 A great way to relax while staying at The Sanya EDITION is to go for an indulge massage at The Spa at The Sanya EDITION. Guests can choose among full body massages, body treatments and facial care. The spa has 11 spacious treatment rooms and suites which are surrounded by open spaces and lush gardens. While at the spa, guests can also use the aromatherapy steam room, the sauna and the hydrotherapy pool. 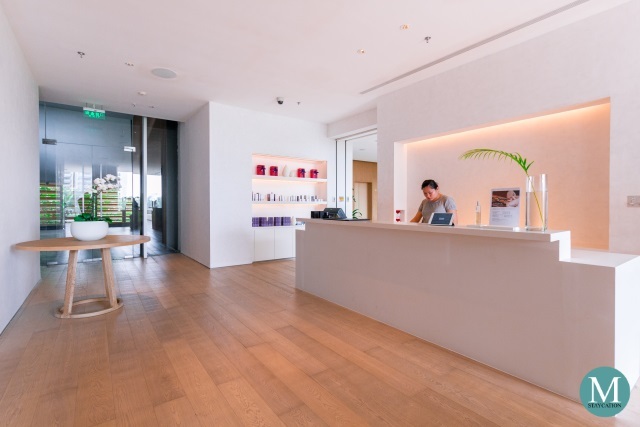 The spa's reception area also has a retail store where guests can purchase exclusive EDITION body products and fragrances. 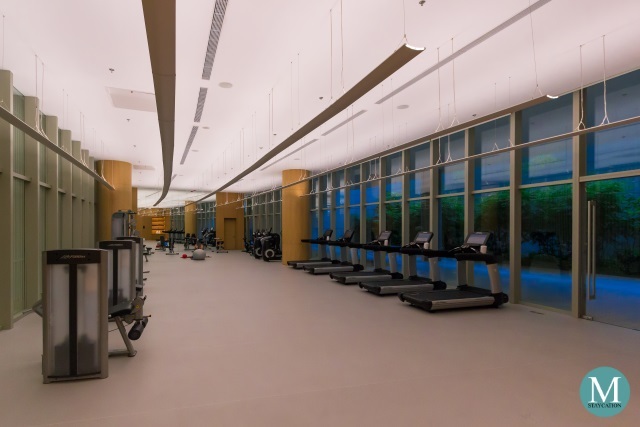 With a 24 hour Fitness Center, guests can keep physically fit during their stay at the resort. It features state-of-the-art weight training and cardio equipment. The resort's wide open spaces are also an ideal venue for outdoor exercises or yoga. Guests can also jog along the pathway surrounding the private ocean. If swimming is your preferred morning exercise, you can do morning laps at the crescent shaped swimming pool located next to the private ocean. 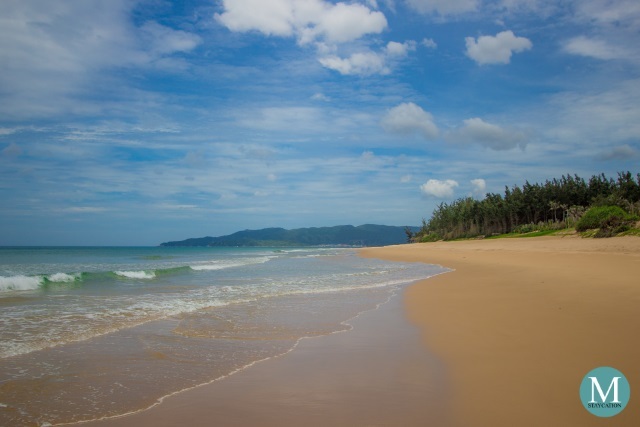 With a beachfront stretching 48.2 kilometers, guests may also choose to jog along the white sand beach, or simply take a leisurely stroll while admiring the clear blue waters of the sea. Beach games such as volleyball, frisbee gliding or kite flying are also popular among families and friends. People in Hainan for me are the most friendly people in China. This innate character of the locals coupled with the high standard of customer service of the EDITION brand brings about the warmest, friendliest and most genuine hospitality. 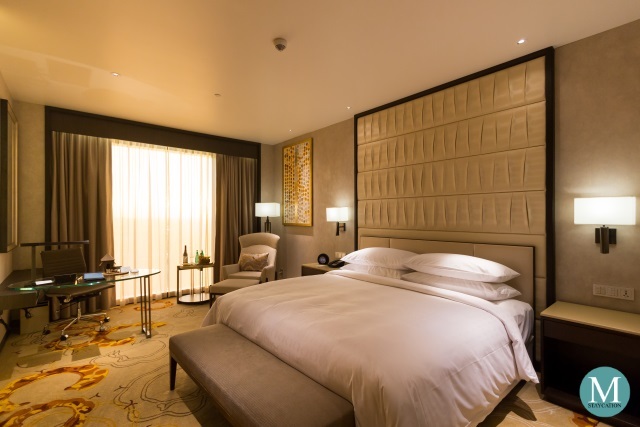 Having said this, The Sanya EDITION is definitely your top choice for a luxurious and memorable holiday in Sanya. 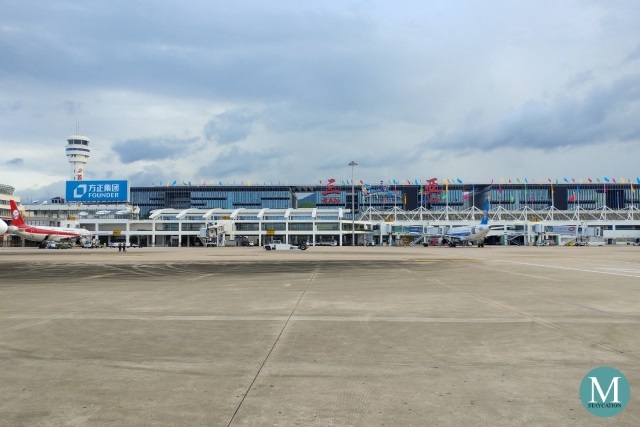 The Sanya EDITION is located 45 kilometers from Sanya Phoenix International Airport (三亚凤凰国际机场), the main gateway of the city of Sanya. Airport Transfer - the most convenient way to get to The Sanya EDITION from Sanya Airport is to book the resort's limousine service. Rates start at CNY700.00 per way. Make sure you book your limousine transfer with the resort at least 48 hours before your arrival. Alternatively, you can take a taxi from the airport to the resort. Travel time is about 45 minutes and fare will cost around CNY160-180. Moving Around - visiting nearby attractions in Haitang Bay is very easy and the most convenient way is to take a taxi from the resort. If you don't speak Chinese, the resort's concierge can assist you in getting a taxi. Don't forget to ask for a Chinese business card of the resort so that you can show it to the taxi driver when going back to the resort. 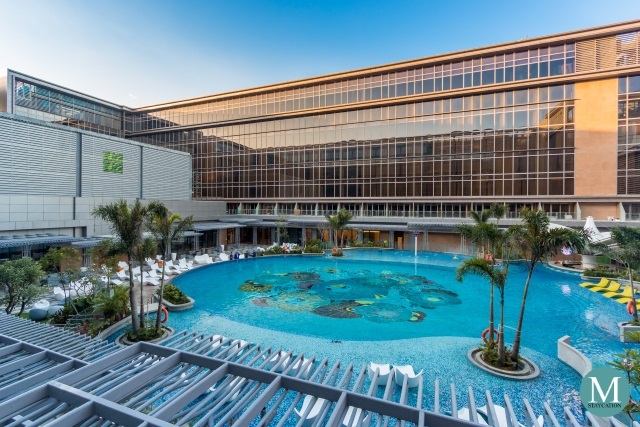 The Sanya EDITION offers complimentary transfers from the resort to China Duty Free Mall and Atlantis Water Park. Prior reservation is required.